BankBazaar is a Chennai based online financial marketplace. Founded in 2008, it is the world’s first neutral online marketplace for instant customised rate quotes on a range of financial products, including loans and credit cards. BankBazaar helps customers compare and apply for financial products, through their website and mobile app. BankBazaar wanted to reach out to financially savvy, premium customers - with an emphasis on Millennials. Their purpose was twofold - to educate customers about financial planning and the range of financial products and services available; and to establish top-of-mind recall for BankBazaar as the go-to place for those seeking to purchase those products and services. Q4 (January, February, March) is the busiest season for BFSI aggregators like BankBazaar, witnessing the maximum spends on new user acquisition. They needed an innovative engagement format to cut through the clutter and effectively differentiate themselves from competitors. 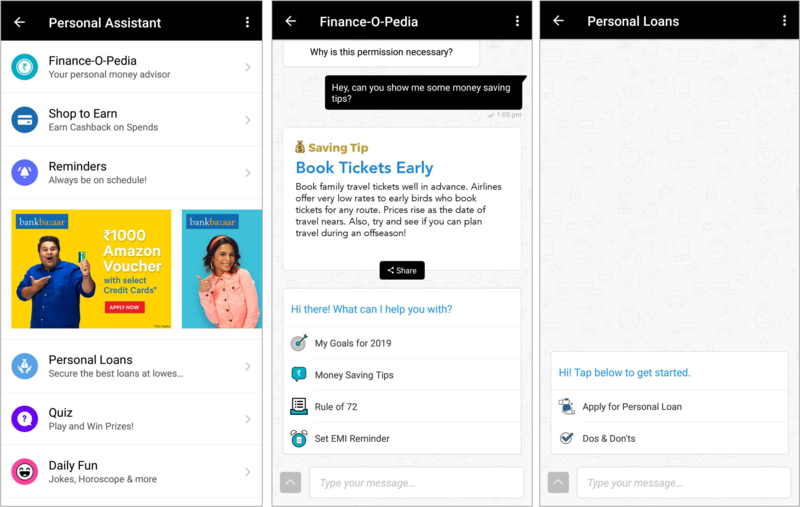 To this end, they decided to reach out to relevant audiences on two of the largest news apps, TOI and ET, through a medium that offered an interactive and authentic experience to potential customers - chatbots. Haptik built a Direct-to-Consumer chatbot, named “The Finance Shop”, for BankBazaar, and integrated the SDK on the TOI and ET apps, with native experiences intact. 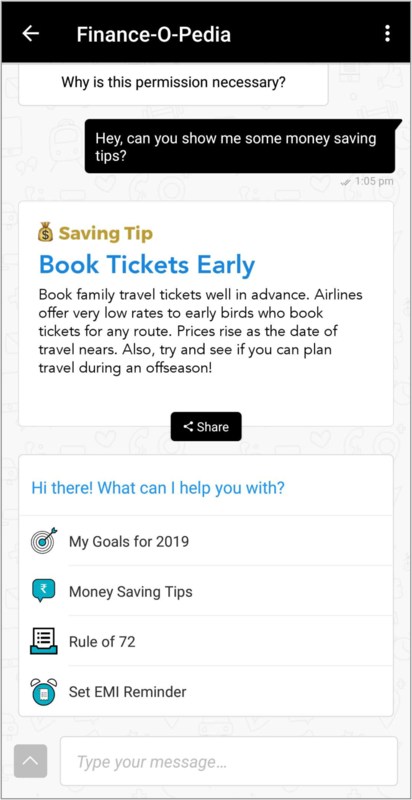 The chatbot allowed users to set custom financial goals, learn money-saving tips, set payment reminders etc. These features served to engage users, while simultaneously educating them about financial products such as credit cards, home loans, personal loans and car loans - ultimately directing interested users to the BankBazaar page to make a purchase. The Finance Shop’s focus on raising financial awareness was able to effectively engage users on the two apps. Users spent an average of 2.4 minutes interacting with the bot, exchanging an average of 3-4 messages. The in-bot advertising led to a manifold increase in intent-driven traffic to the Bank Bazaar website. The Top 5 Finance Shop channels users engaged with were Finance-o-pedia, Shop to Earn, Dream Homes, Personal Loans and Apply Today, Drive Tomorrow. Drive app usage and retention with 40+ ready-to-deploy utility bots. The Finance Shop chatbot saw an excellent response from Millennial customers, thus fulfilling BankBazaar’s primary objective. It also led to an overall increase in brand awareness for BankBazaar across all customer segments. 28% of users who interacted with the bot ended up redirecting to the BankBazaar portal. 59% of users were high-intent salaried or working professionals. 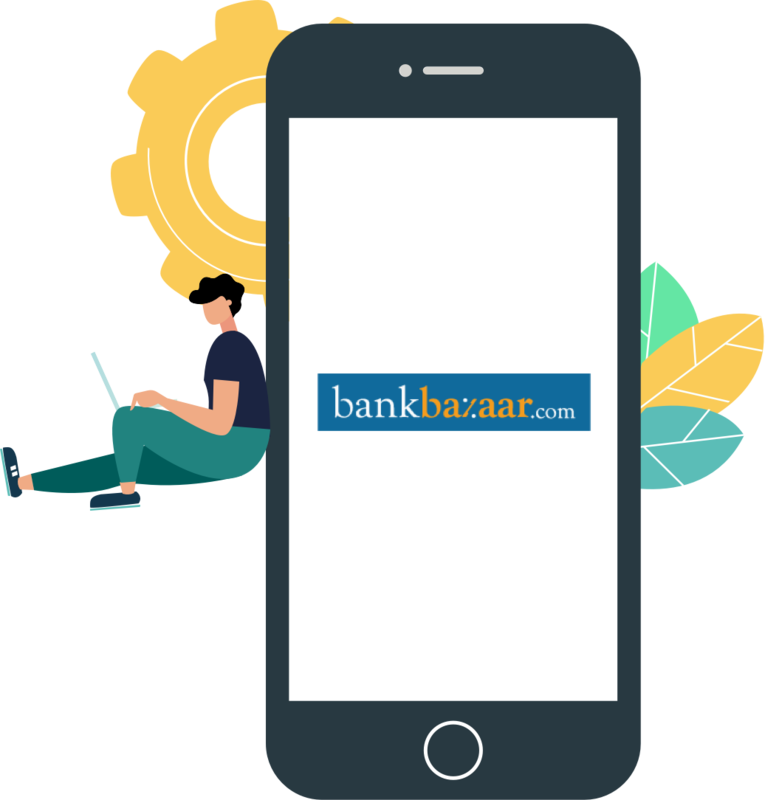 Users acquired through the chatbot enquired for at least three more products on the BankBazaar website, as opposed to leads acquired through other sources. This clearly indicates that the bot was successful in engaging relevant users. Overall, the use of the bot led to a 17% increase in purchase consideration across the target audience. The Finance Shop chatbot has provided us with an innovative platform to reach out to and cater to the interests of our target customers. The response has been encouraging and I foresee a great potential in this partnership.